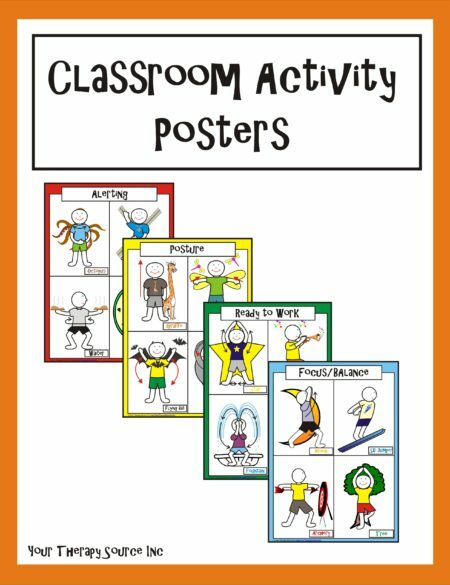 Purpose: To encourage coordination skills, muscle strengthening, balance and gross motor skills. 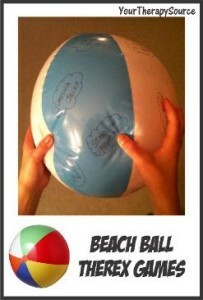 Preparation: Use the permanent marker to write various therapeutic exercises on the beach ball. Write each activity inside a small cloud or circle. 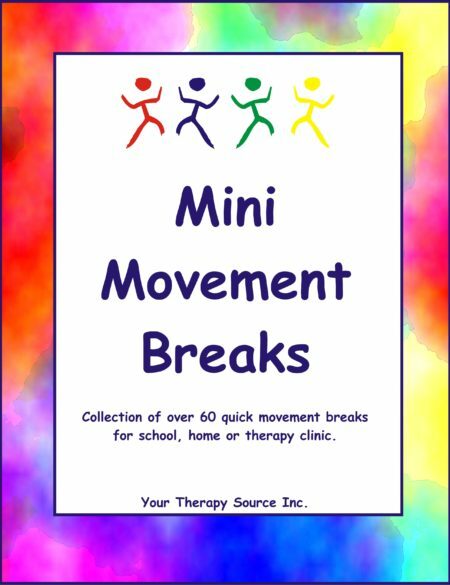 Here are some suggestions: jumping jacks, cross crawls, marching in place, knees to chest, windmills, squats, stand on right foot, stand on left foot, stand heel to toe, tree pose, etc. Activity #1: Play a simple game of toss and catch. When you catch the ball you must perform the exercise that your right thumb is touching. Perform each exercise for 10 repetitions or hold for a count of 10. Activity #2: Turn a music player on. Pass the ball around the group. When the music stops, whoever is holding the ball will perform the exercise under his/her right thumb. Everyone in the group repeats the exercise. Turn the music back on and continue to stop the music to perform a therapeutic exercise. Activity #3: Kick the ball around a circle with a group of children. When you yell stop a child should hold the ball between both his/her feet. Perform the exercise that his/her right ankle is touching. Repeat kicking and stopping to perform the exercises.